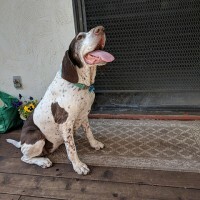 What is NorCal GSP Rescue? 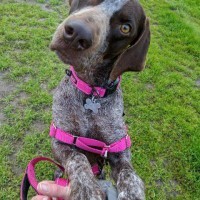 NorCal GSP Rescue is an all-volunteer, non-profit organization dedicated to placing unwanted and abandoned German Shorthaired Pointers in Northern California into new homes. 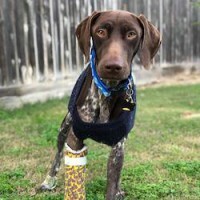 With your help, we accomplish this by providing veterinary care for each German Shorthaired Pointer (GSP) rescue including spaying/neutering, vaccinations, heartworm tests & preventative, intestinal parasite treatment and any other medical care needed. We also: educate potential owners about the breed and its special requirements to ensure an educated decision when selecting the breed as a pet; assist owners in solving problems with their GSP in order to keep those dogs in their current home and encourage owners to use their breeders as a resource of support and information; and educate animal control officers and shelter personnel on how to properly identify a GSP and of their particular personality and behavioral traits. What does NorCal GSP Rescue do? NorCal GSP Rescue takes in adoptable dogs from area shelters and fosters them in volunteer foster homes throughout Northern California. Please note that while our world headquarters are in Menlo Park, California, we do not have a physical facility there. By fostering dogs in our homes we are able to save dogs’ lives and provide the public with healthy spayed or neutered dogs. The foster home provides a transition period between life in the animal shelter and the new, permanent home. The dogs are given the opportunity to learn any needed social skills and to receive the much-needed love, shelter, and medical care they deserve. 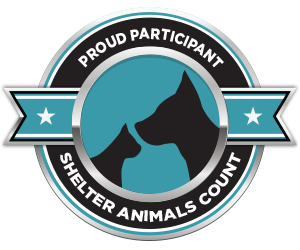 When a dog is rescued from the animal shelter he or she receives a health exam by a veterinarian, age-appropriate vaccinations, and a heartworm test and preventative. All dogs of 6 months of age or older are spayed or neutered. Dogs under 6 months of age are adopted under the agreement that they will be spayed or neutered at the appropriate time. 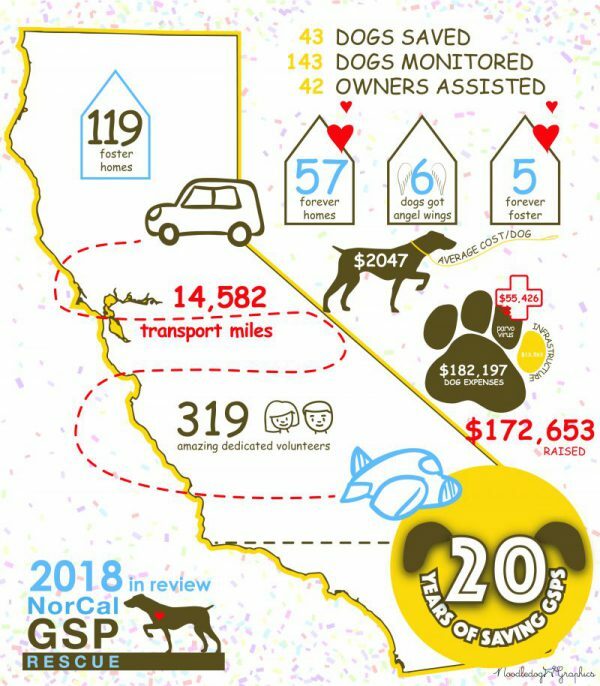 Most of our rescued GSPs have come from Northern California animal shelters. We take only those animals who are in danger of being euthanized. In order to give these dogs a chance, we must limit the number of dogs we take from private homes who are being surrendered because their owners no longer have time for them, are moving, and so on. We will accept animals from the public only as a last resort IF space is available in an appropriate foster home. 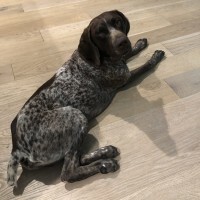 If you are looking for another home for your dog or are thinking of giving up your GSP, please refer to the information in our “Owner Assistance” section. Read our Behind-the-Scenes of Saving GSPs page for more info! 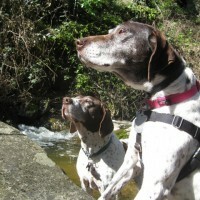 How does NorCal GSP Rescue find the best homes for the dogs? NorCal GSP Rescue finds homes for dogs through postings on this website, postings on pet adoption sites such as Petfinder.com, social media outreach, and adoption events. We keep each dog for a minimum of two weeks in order to assess personality, temperament, and training needs. By doing this we are able to ensure that we place each dog in the most suitable home. 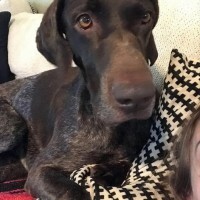 Individuals interested in adopting a GSP must fill out an adoption questionnaire and be interviewed in order to ensure that the needs of both the individual and the dog are met. 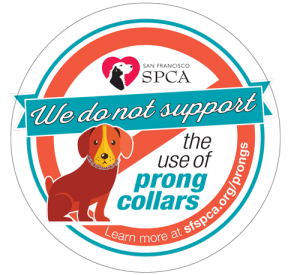 Our full legal name is NorCal German Shorthaired Pointer Rescue, Inc. We are a 501(c)(3) non-profit corporation, funded by donations, fundraisers, and adoption donations. All donations are fully tax deductible. Our tax ID # is 26-0129307. 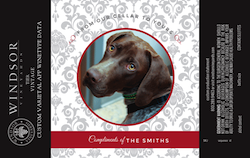 All monies received go towards the costs of operating NorCal GSP Rescue and the rescue expenses of German Shorthaired Pointers. None of its officers or board members receives any payment for serving in that capacity. We were founded in 1998 and incorporated and attained non-profit status in 2006. 20 Years of Saving GSPs! 2018 marked our 20th anniversary of helping GSPs that need us the most. Take a look at everything that goes into saving these wonderful dogs. Thanks to everyone who has supported us through the years – here’s to the next 20! 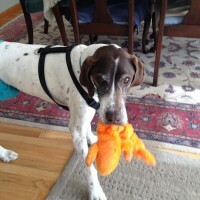 NorCal GSP Rescue is always in need of volunteers, especially foster homes. For more information, please see our FOSTER and VOLUNTEER pages under our Volunteer tab. We are proud to be a Best Friends Network Partner. demonstrating its commitment to transparency. Check out all our great reviews! And write one yourself!